REVIEW : An opportunity for fans to go behind the scenes of the blockbuster sci-fi sequel. Great if you're a fan of the new film as there's lots of material that will take you behind the scenes, but sometimes rather light on explanatory detail. For the first quarter of this 176-page tome, you might think you've actually bought the wrong book. The first 50 pages are devoted to the first Independence Day film, with a lot of fan-friendly detail about characters and plot but not much mention of the technical and artistic process behind it. 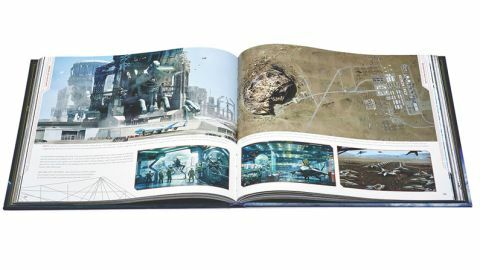 The book finally starts to fulfil its title's promise from page 70, where we get rough pencil sketches, digital paintings and cross-sections of the new movie's moon base. From here on, it's the art book you've been looking for, replete with film stills, behind-the-scenes photography, and concept art showcasing how the many visual worlds of the movie, its new alien characters, its weapons and its spacecraft were conceived. This article was originally published in issue 140 of ImagineFX magazine; buy it here.